Zimbabwe’s first-ever election without Robert Mugabe, the country’s only president from independence in 1980 until his ouster last year, was supposed to be a break with the past and the start of a great future. Yet it ended up leaving a feeling of deja vu. With “Zimbabwe is open for business” as his campaign mantra, President Emerson Mnangagwa, who had called the ballot, expected a clear win that would give the new regime the much-needed legitimacy to end years of Western sanctions that were followed by economic ruin. It was also to open up the way to fresh investments, particularly in the mining sector, where it has among the world’s largest reserves of platinum, diamond, gold, chrome and lithium. In the run up to the vote, it was clear that out of the 22 contenders only two were serious candidates: Mnangagwa of the ruling Zanu-PF and Nelson Chamisa of the opposition Movement for Democratic change. Even before the vote, the MDC had alleged the odds were stacked against it, saying there was a government rigging plan. The charges were dismissed by the administration and international observers appeared willing to give the benefit of doubt. The voting proceeded peacefully, with a large turnout. But as often happens in unstable democracies, disputes arose in the counting and collation process. MDC was the first to project itself the winner as the votes for its urban strongholds were the first to come in. The ruling party countered with its own claim to victory buoyed by its rural base. Amid the rival claims some opposition protesters gathered in the centre of Harare, the capital, for a march, and all hell broke loose. A detachment of soldiers took on the protesters with live ammunition and six people lay dead by the time it was all over. This incident went on to overshadow the entire electoral process, that by the time results were eventually released declaring Mnangagwa the victor, the vote seemed tainted and lacking in transparent legitimacy. International observers have characterized the vote as deeply flawed and the main opposition party has denounced it. Many wondered at the point of deploying troops to tackle protesters it was the immediate job of the police to deal with? 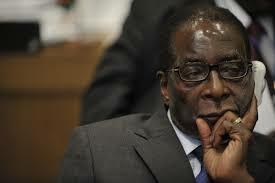 The Zimbabwe Defence Force said they hadn’t deployed the troops. What purpose did the high-handed use of troops serve if the government was sure it was winning and needed the vote and its outcome to be seen as credible? Perhaps it couldn’t afford to take chances, and holding power was what mattered even if the process looked somewhat untidy. Even President Mnangagwa hasn’t condemned the use of soldiers outright. Matters are now in the courts, where Chamisa, the MDC candidate is challenging the official electoral verdict. Mnangagwa’s inauguration had to be put off to allow the determination of the judicial process as required by law. So for now, Zimbabwe isn’t quite ready for business as potential investors await clearer signals on where the post-Mugabe era is headed. If Mnangagwa prevails, it will be a continuation of the old order though with a change of personnel. Then the challenge will be to prove his readiness for reforms by tackling vexed issues such as land reforms, seizure or return of former white-owned farms, opening up the democratic space, mining reforms to attract and retain foreign capital and tackling corruption within the party and the government. Ahead of the elections, the government had demonstrated its intent for reforms with the removal of a law that required foreign companies to list on the local bourse. The law had unsettled many foreign companies operating in the country and prompted prospective ones to hold back. However, if the tables should turn in favor of Chamisa, that in itself would be revolutionary. It will come with loads of uncertainties that he would need to move quickly to show his policy direction, reassure investors and show positive results early enough. What remains indisputable is that Zimbabwe’s economic potentials are great if the right policies are put in place to create a favourable business environment for investments. Just like it’s agricultural sector was hobbled by a badly managed land reform and the seizure of lands from white farmers, the prodigious mining sector was also being hampered by certain black empowerment regulations. Mnangagwa had already indicated his readiness to review the Indigenization Act (which contains a number of these rules) and work on advancing the ease of doing business in the country. Most prospective long-term investors waiting for the climate of uncertainty to lift before making major commitments are targeting interests in energy, mining, agriculture, infrastructure, and tourism, transaction advisers surveyed by Afrika Insights said.